The AHC’s Ben Pendergrass said many people had worked to achieve passage of the bill over the last couple of years, and it was an important victory for equestrians and everyone who enjoys national forests. 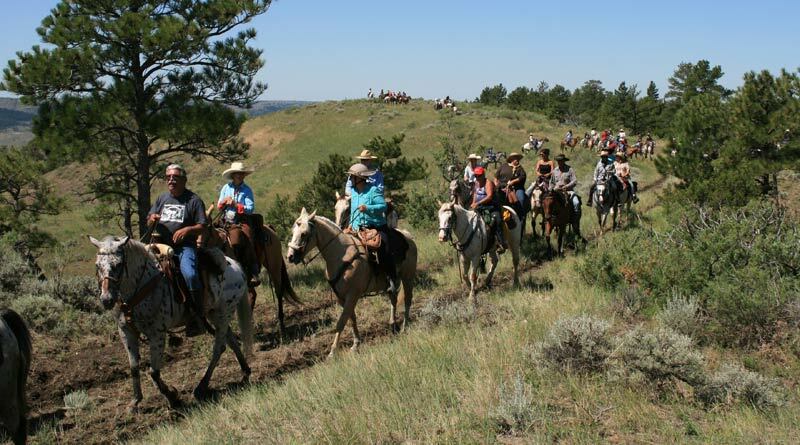 “National forest and trails are important to thousands of recreational horseback riders and are a vital component of the $32 billion recreation segment of the horse industry. This bill will help make certain that equestrians and all trail users are able to have access to and enjoy our national forest,” he said. Paul Spitler, Director of Wilderness Policy at The Wilderness Society, said more opportunities needed to be provided for Americans to experience the great outdoors, and the bill will help do that. “Keeping more trails open is a good thing for anyone who cares about our public lands. We applaud the Senate for passing this important legislation and thank Representatives Lummis and Walz and Senators Enzi and Bennet for their commitment to keeping America’s trails open,” Spitler said. Another group that is happy with the new bill is the Back Country Horsemen of America. “We are overjoyed that Congress recognized the need to improve the condition of trails on our national forests,“ said chairman Donald Saner. “Public access to public lands provides many benefits, including enhanced tourism and a stronger local and national economy. This bill will encourage more volunteers and partners, like the Back Country Horsemen, to concentrate their energy toward reducing the trail maintenance backlog,” he said. The National Forest Service Trail Stewardship Act would direct the Forest Service to develop a strategy to more effectively use volunteers and partners to assist in maintaining national forest trails. It will also provide outfitters and guides the ability to perform trail maintenance activities in lieu of permit fees. Additionally, the bill would address a liability issue that has discouraged some national forests from using volunteers and partner organisations to help perform trail maintenance and would direct the Forest Service to identify and prioritise specific areas with the greatest need for trail maintenance in the national forest system. President Obama is expected to sign the bill into law in the near future.